The Osprey Lake area known as the community of Bankeir is a popular recreational area that's approximately half way between Princeton and Summerland. 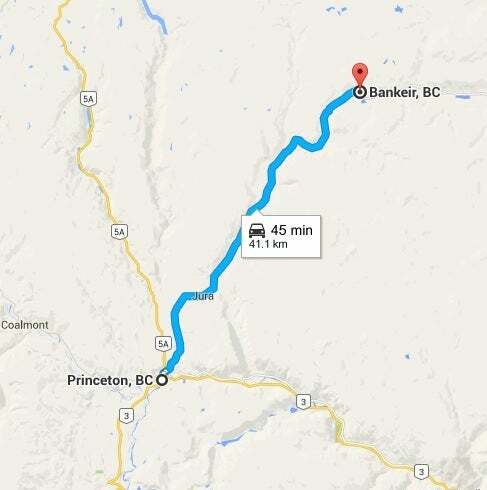 The 40km winding highway is a scenic 35 minute drive from Princeton to an all season playground. 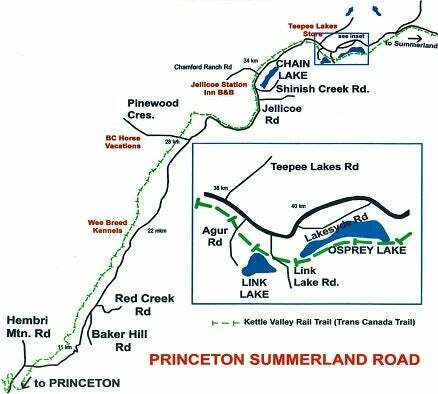 There are numerous properties from small lots at Osprey Lake to large acreages closer to Princeton. The pavement ends at about 45km just past the three lakes, but a maintained gravel road continues out to Summerland, B.C. There are about 40 full time residences plus 100 or so seasonal cabins. If you're visiting, you may take advantage of the many local accommodations - including lake front forestry campsites on each lake, as well as private campsites, cabins and B&B's. It's a beautiful playground with varying activities during each season such as snowmobiling, icefishing and snowshoeing in the winter. While birdwatching, cycling, canoeing, horseback riding, ATVing, fishing and hiking can be enjoyed during the rest of the year. Link Lake is restricted to electric boat motors, while Chain & Osprey Lakes are limited to 9.9 hp. 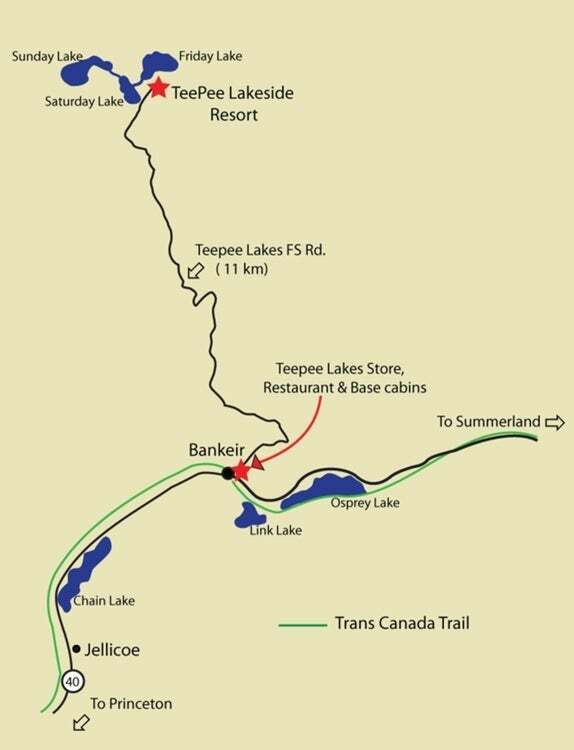 Running adjacent to the lakes is the Trans Canada Trail providing access to marked trails North and South of the lakes. There are also community events featuring snow golf and the snowmobile poker run between Christmas and New Year's, a children's Easter egg hunt and an end to the summer season annual corn roast every Labor Day weekend. The Princeton Summerland Road runs north east of Princeton to Summerland. Property sizes are commonly 5 acres. Larger ranches can be found, as well as small lots surrounding the lakes. 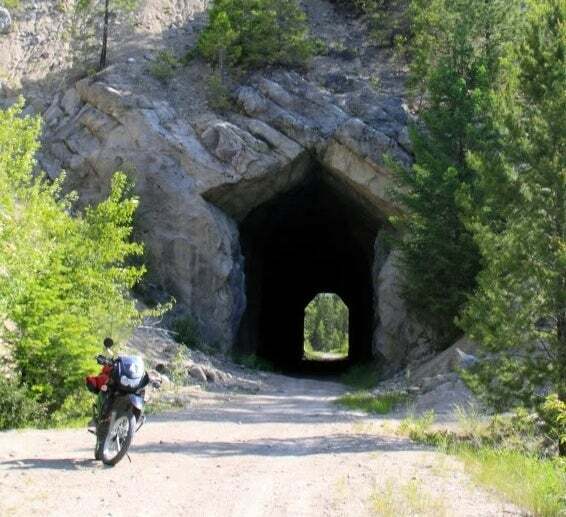 The pavement ends at about the 45km mark, but the gravel road continues all the way to Summerland and is maintained throughout the year. Three lakes (Osprey, Link, and Chain) are located about 40kms from Princeton. Each year on the Labour Day weekend the community celebrates the “Corn Roast”, where all residents and their guests get together for two days of fun activities for the whole family. Some of the events include a fishing derby, a bocce tournament, canoe races, bingo, raffles/prizes and more. It's a great weekend that brings the community together and attracts tourists to the area. 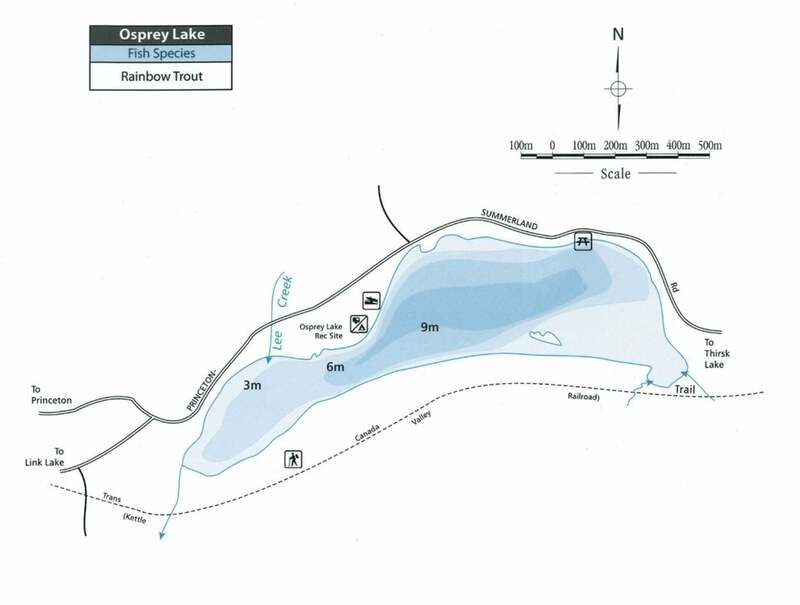 There is a recreation campsite on Osprey, Link and Chain Lakes. They are easily accessible and the sites make a great spot to set up your base camp for your adventures. 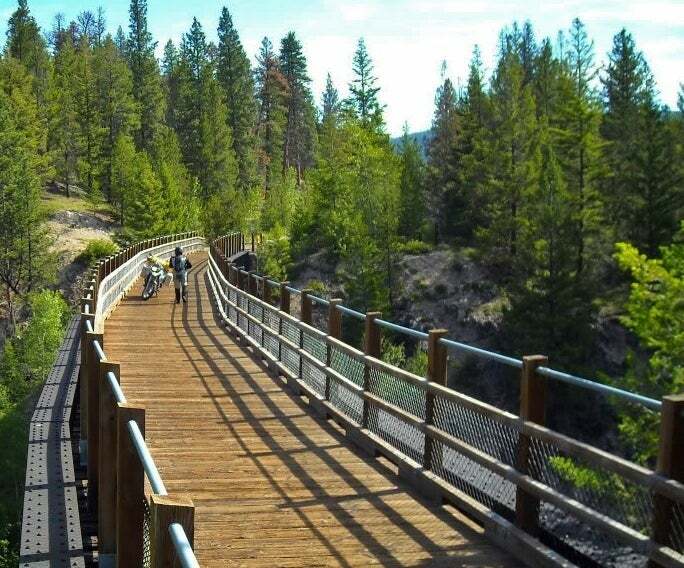 They are used mainly by campers and fishermen, but the nearby Kettle Valley Railway is a popular destination for hiking and mountain biking enthusiasts. Hayes Creek Volunteer Fire Dept. The Hayes Creek Volunteer Fighfighters Association provides first aid response and fire protection for the Bankeir area. 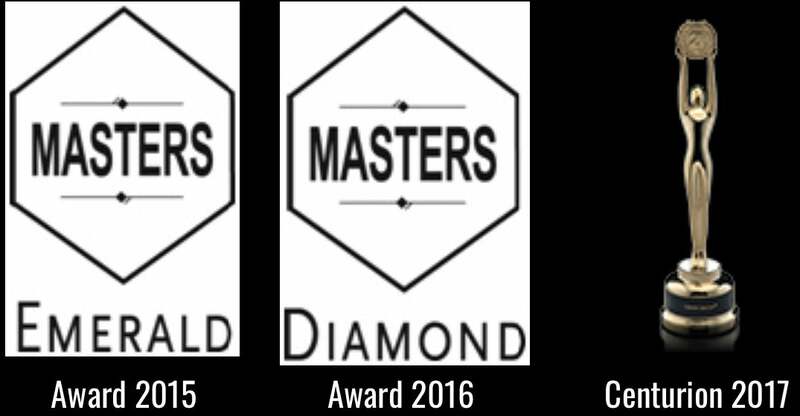 Although it's not a certified dept., it offers homeowners some protection for peace of mind. They are funded through various fundraisers and ask for an annual property registration fee of $100 from property owners. Teepee Lakes Community Store & Group Resort is located in the town of Bankeir, British Columbia. The community store is located near chain lake along the Princeton Summerland Road, and the group fishing resort is 12km up a forest service road. The Lakeside group resort, hall, and cabins are located on Friday Lake. This lake is part of the Teepee Lake chain, which consists of three lakes: Friday, Saturday and Sunday. All three lakes are considered to be excellent fly fishing lakes providing fine, secluded fisheries for medium and large (up to 5 lb) rainbow trout. All three lakes are stocked each year by BC Fisheries, and continue to be very healthy lakes.